Scan cheques quickly and reliably. For businesses or organizations that scan cheques frequently or professionally, accuracy and reliability are crucial. Canon’s cheque scanners are designed with smart features, and are easy to use from front-desk counter to back-end desk. Available in compact front-counter sizes and designs, Canon’s cheque scanners are built to fit even the narrowest of spaces, but with all the intelligent features you’ve come to expect. 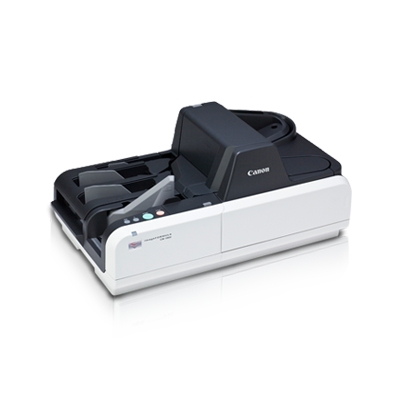 With duplex scanning and up to six types of scanning modes, the only thing small about it is its size.